Tip of the Month, February 2012: Love Chocolate? Get This! 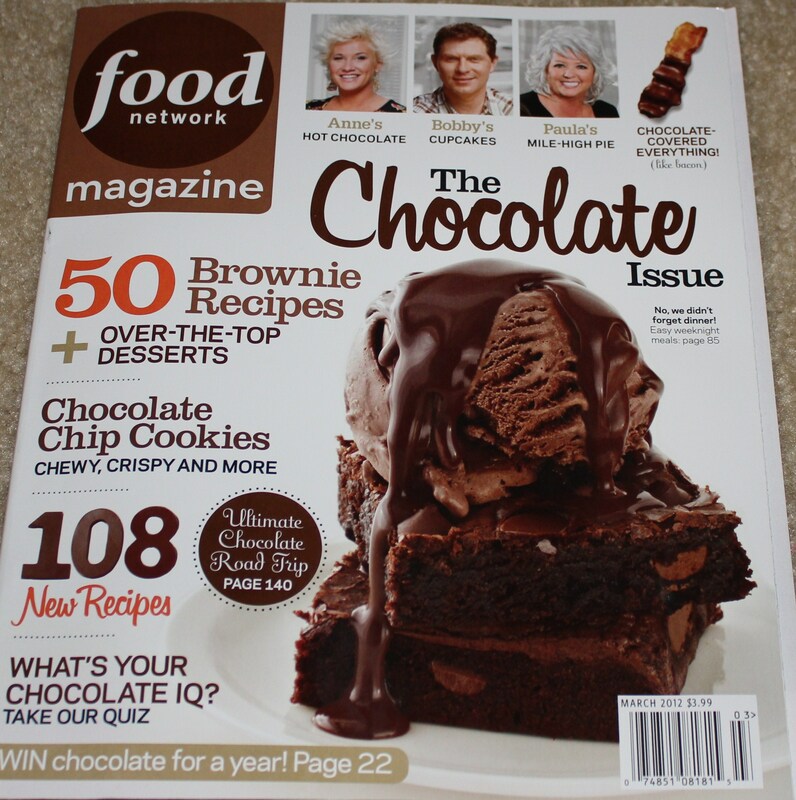 This month’s Food Network Magazine is all about chocolate (planned around Valentine’s Day, no doubt.) It has a host of wonderful recipes, including a ton of desserts such as chocolate chip cookies, fudge, cakes and pies, and a special pull-out section featuring 50 brownies (yum!) Go get your copy today, while it’s still on the shelf. Try some delicious chocolate waffles for breakfast or a cocoa-rubbed steak with bacon-whiskey gravy for dinner. Got kids? Make some of the hot chocolate from Bobby Flay and/or Anne Burrell in their great hot cocoa show-down. 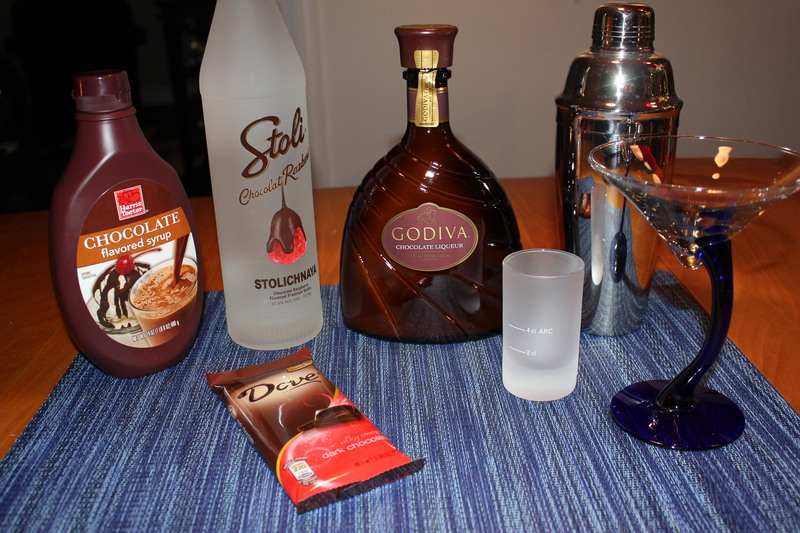 Or turn to the section “Choc-tail Hour” for some tasty chocolate-based adult drinks. Chill the martini glasses. 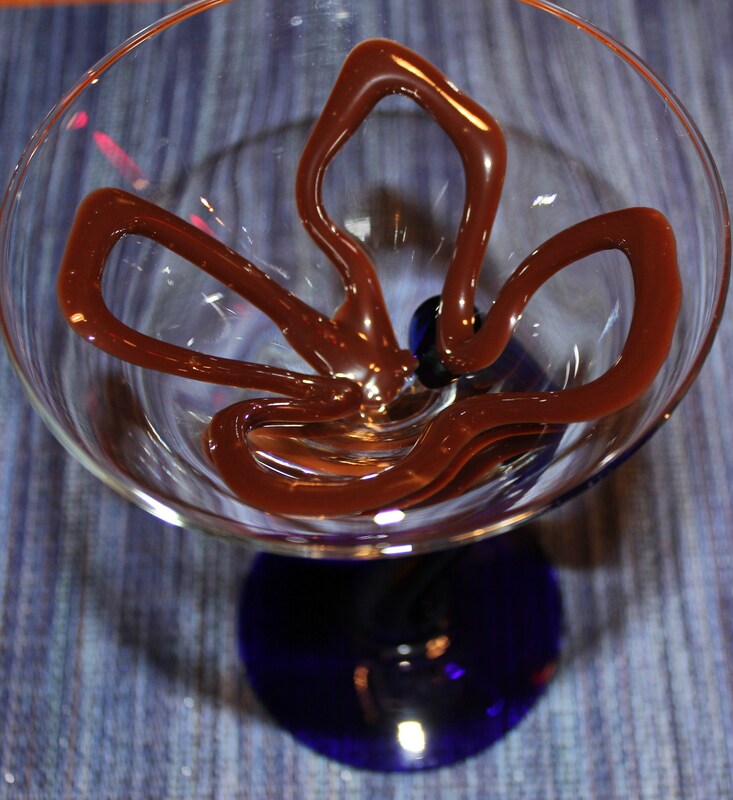 Take the chocolate syrup and make a fun pattern on the inside of each glass. Fill a cocktail shaker with ice. Add the vodka and chocolate liqueur and shake until well mixed. Strain the mixture into the martini glasses. Top with shaved dark chocolate and garnish with the strawberries. 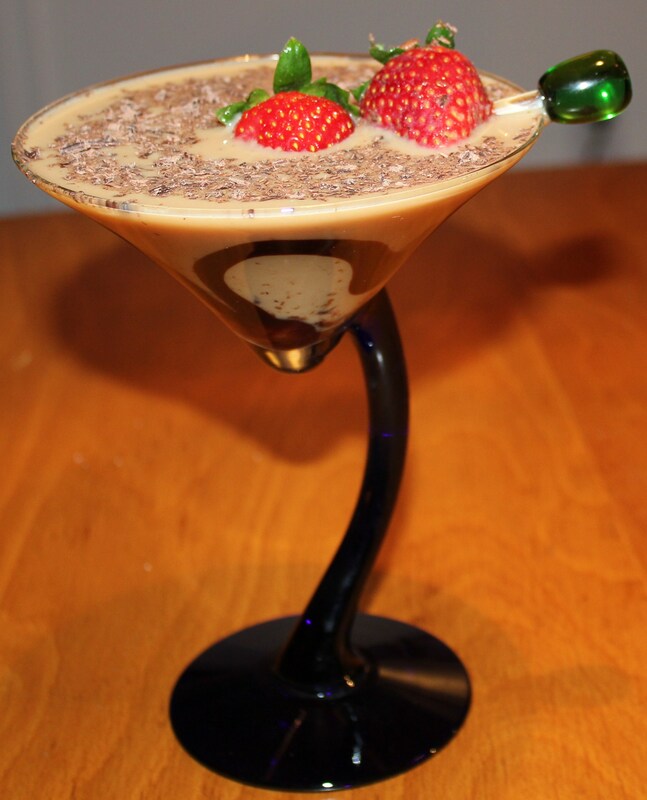 This entry was posted in It's 5:00 Somewhere, Tips and tagged Chocolate matinis, Chocolate raspberry martinis, Chocolate recipes, Food Network Magazine Chocolate Issue 2012, kel's cafe of all things food, Kel's Lady Godiva Martini, Kel's tip of the month, Kelley Chisholm blog. Bookmark the permalink. 3 Responses to Tip of the Month, February 2012: Love Chocolate? Get This! Wow, great post. The picture in the magazine of chocolate is just mouth-watering. Can’t help myself from staring at it. I just love chocolate. Thanks for sharing this! 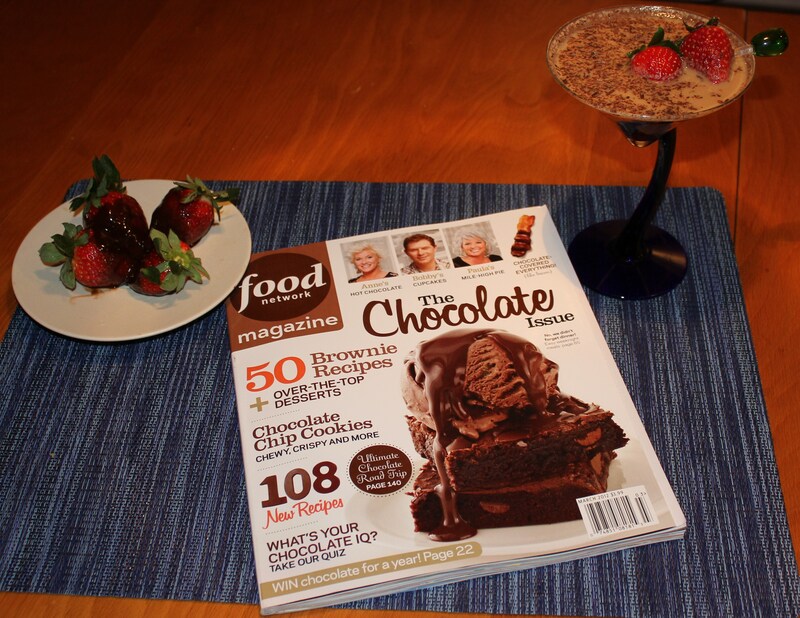 Looking for more food magazines that feature chocolate! Thanks, Nikita – it is a great issue with lots of good recipes.